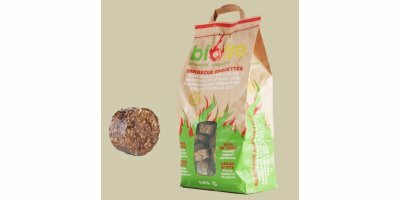 Biofire vine wood briquettes are composed 100% of vine shoots and stocks. In wine regions, vine shoots and stocks are used for grilling. Known for the incomparable taste they produce when cooking, they are not easily used in their natural state because they are very voluminous and do not keep alight very long. Dried and finely ground, vine shoots and stocks can be compacted in a press and easily used as small briquettes for the barbecue or fireplace grill. Our briquettes are produced in France in the midst of the finest wine growing regions. Our bags made of natural biodegradable unbleached kraft paper that can be recycled or burned. Create a pyramid of briquettes. Let the flames burn for 30 minutes. Allow this time for the embers to form. Count on 1 kg of briquettes for 2 people. Each year, the lengthy, tender stems remaining on the vines after the harvest must be cut almost entirely during the winter and removed from the plot. Traditionally, this waste is burned in the open air or crushed on site to produce humus. However, this poses significant risks for the development of diseases. In France alone, vineyards cover some 900,000 hectares that annually produce between 2-3 tons of vine shoots per hectare (about 2,250,000 tons per year in France). An average of 10,000 plants are grown per hectare. 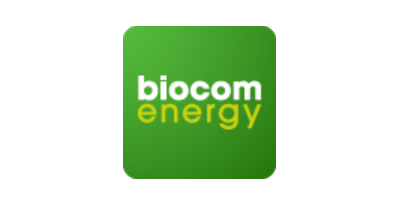 Once dried and cleaned, this biomass is an excellent biofuel. Biofire is a compacted and non-carbonized briquette. Clean: 100% natural, no additives. And no dirty hands. Compact: easy to use, carry and store. Offers a unique flavor to food during cooking. Non-carbonized product. Better for environment and health. Tested by the SOCOR laboratory which specialises in combustibles (the convincing results are available upon your request). “Norme Française” certification by the AFNOR Group is underway (as a “biocombustible” in the briquette category). Lancement de Biofire vinewood briquettes aux JDC 2011. Nouvelles briquettes de bois de vigne. 100% sarments et ceps de vigne pour le barbecue. No reviews were found for Biofire Vinewood Briquettes. Be the first to review!